Foot and heel pain can be, well, a pain. Your feet support all of your body’s weight. If you don’t take care of your feet properly, they hurt with every step you take. That can even make hanging out around the house uncomfortable. **Below, you’ll find our expert reviews, but you can also click the links above to see current prices or read customer reviews on Amazon. Why Should You Wear Slippers with Arch Support? When you get home after a long day, you probably want to kick your shoes off. That’s fine if you put your feet up. However, walking around your house without arch support can make your feet hurt more. Still, wearing sneakers or orthotic shoes at home isn’t convenient. You want to slip your feet into something cozy and breathable. The problem is that most slippers aren’t designed with support. If you’re wearing slippers without arch support around the house, you could be doing more harm than good. If you’re walking around barefoot, you’re almost definitely not helping your foot pain. 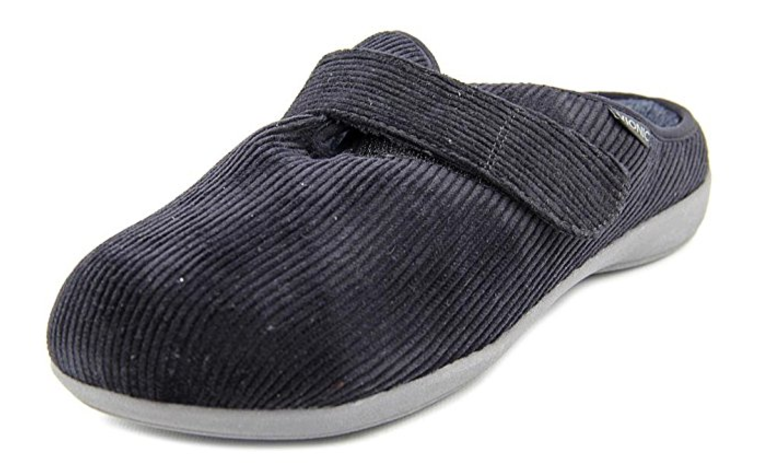 Slippers with arch support are an ideal combination of comfort and wearability. To provide the proper support, they usually have a sturdy sole. This makes them ideal for wearing out and about for short errands or while driving. Plantar fasciitis slippers are also easy to take on and off. This can make them more convenient to wear than your lace-up sneakers or orthotics. Alternating your more expensive orthotics with slippers can extend the lifetime of both shoes. Although slippers aren’t the ideal shoe for long-term use, they are a useful alternative to your daily shoe. They can give your feet a break while still offering support. Some slippers come with arch support built in. Others have removable insoles. If the slipper has the term “ortho” or “ortha” in the name, it may be made for people who need more arch support. However, don’t go by the name alone. On the other hand, some manufacturers claim to provide padding under the foot. Padding is not necessarily supportive. Look for slippers that are designed for foot conditions, such as plantar fasciitis and diabetes, if you want true support. The Orthaheel Gemma slipper supports high arches while cupping the heel. The company was founded by podiatrist Phillip Vasli and is recommended by Dr. Weil. The Orthaheel technology provides support and relief for aching feet. The company also concentrates on creating a fashionable shoe. After all, what good is a shoe if it’s not stylish enough to wear? Some customers recommend going a half size down to adjust for the wide width of this shoe. Although this slipper is cozy, it may not be ideal for hot weather. Orthofeet’s slipper is made with a leather upper. It almost looks like a regular shoe. You can wear it out and about or just at home. The orthotic insole conforms to the shape of your foot for a perfect fit. The design helps enable your foot’s natural motion as you walk. Although the manufacturer recommends ordering half a size up, most buyers say the slipper is true to size. Material may cause foot to perspire. If your feet tend to get hot when enclosed by a moccasin or clog-style slipper, consider this sandal-style house shoe. The round toe is open, which can be comfortable for people with bunions. The sole has extra traction for walking around on smooth surfaces. This slipper looks just as stylish outside of the house as it does inside. Many buyers say that this brand has an extremely high arch support. It might take some getting used to. Although they may stretch out a bit as they break in, you can throw them in the washer and dryer to tighten them back up. If you’re looking for slippers that truly offer indoor/outdoor functionality, these may be perfect. They slip on and off easily. The canvas upper can be cleaned easily. The rubber soles provide traction on any surface. Many slippers offer plush linings, which can make your feet perspire. These are breathable enough to wear in any weather. These slippers have a durable leather exterior and a soft lining. The deep heel cup is ideal for people with plantar fasciitis. The upper comes up to your ankle for sufficient support without providing too much pressure. The wide toe box provides enough space for people with wide feet or bunions. The shoe is designed with a slightly higher heel. This helps to propel your foot forward as you walk. However, the design may shift your center of gravity and take some getting used to. 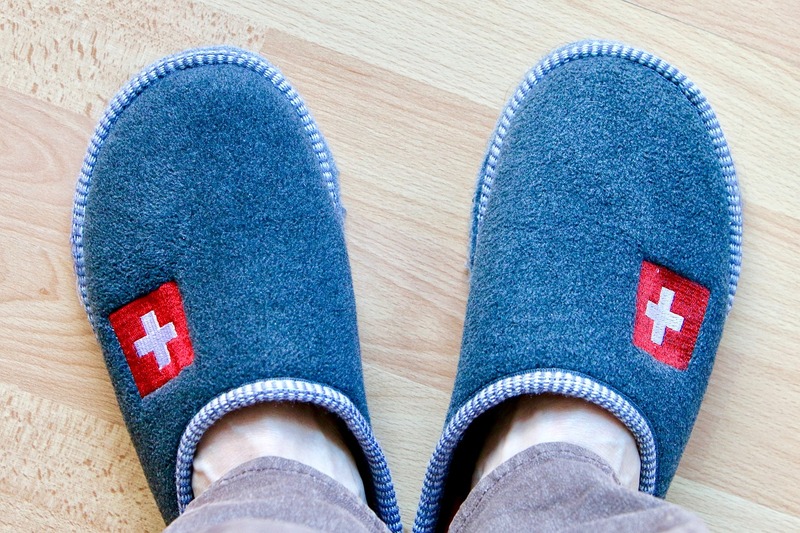 You may not want to wear your slippers all day. However, these are so comfortable that you will want to keep them next to your bed so that you can wear them around the house. You may require more ankle support for those days when you’ll be on your feet a lot. On the other hand, you may want less support and a more breathable shoe, such as an orthotic flip flop. However, if you want an all-around shoe that will provide warmth, support and comfort (and won’t embarrass you if you forget to take it off to go to the grocery store), one of these slippers may be the solution.